It's release day at Papertrey Ink. The January release will be available at 10 pm ET in the Papertrey Ink store. 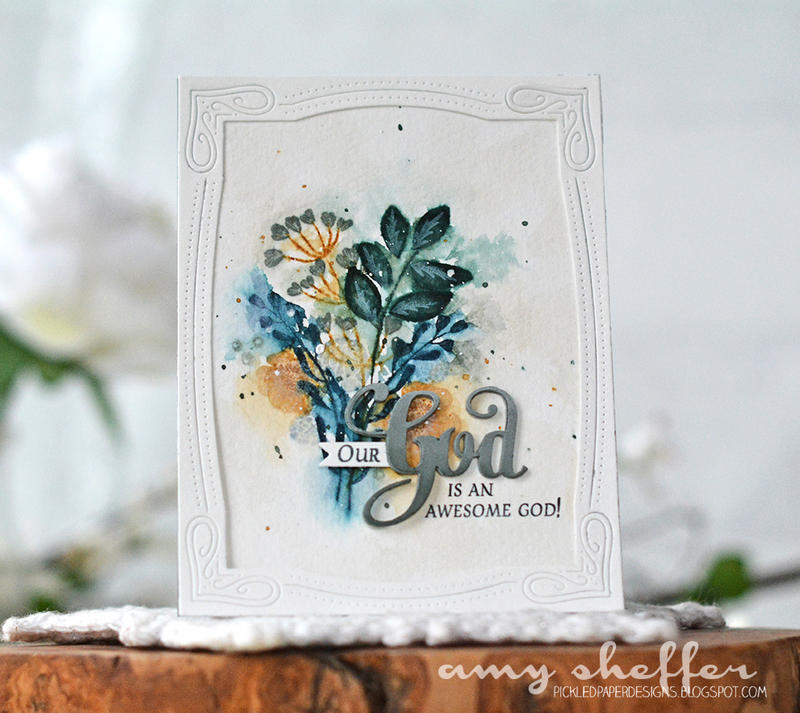 My first card combines Inspired: God, designed by Betsy Veldman, with Gathered Garden, designed by Nichole Heady. 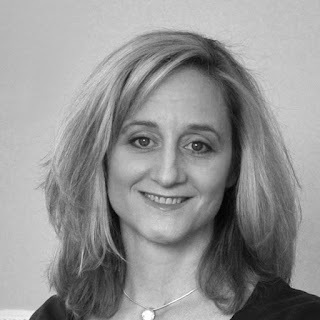 I chose to work with a dark, dramatic color combo, mixing in blues, greens, grays, and browns. I stamped the images, then used a paintbrush and a little water to move the color around. The word die-cut is triple-stacked for some extra dimension. I framed the composition with a Cover Plate: Delightful die-cut. 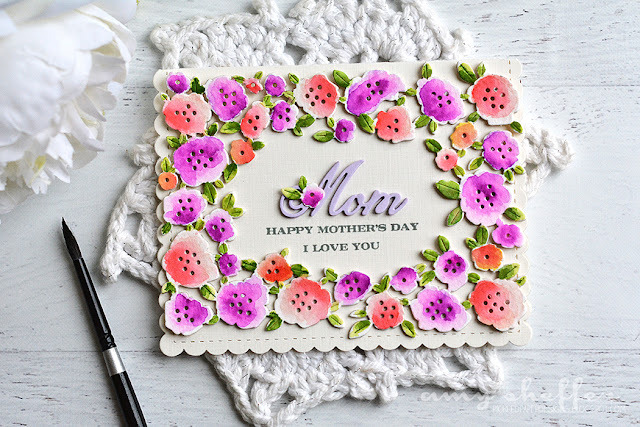 Next, I'm getting a head start on Mother's Day with Dawn McVey's Family Ties and Nichole Heady's Floribunda Frame die. Again, I triple-stacked the word die-cut for dimension. The rest of the sentiment is stamped in Stormy Sea. I die-cut one extra tiny flower to use as an accent on the "M."
My flowers were watercolored with Zig Clean Color Real Brush markers. The leaves were painted with New Leaf and Green Parakeet re-inkers. 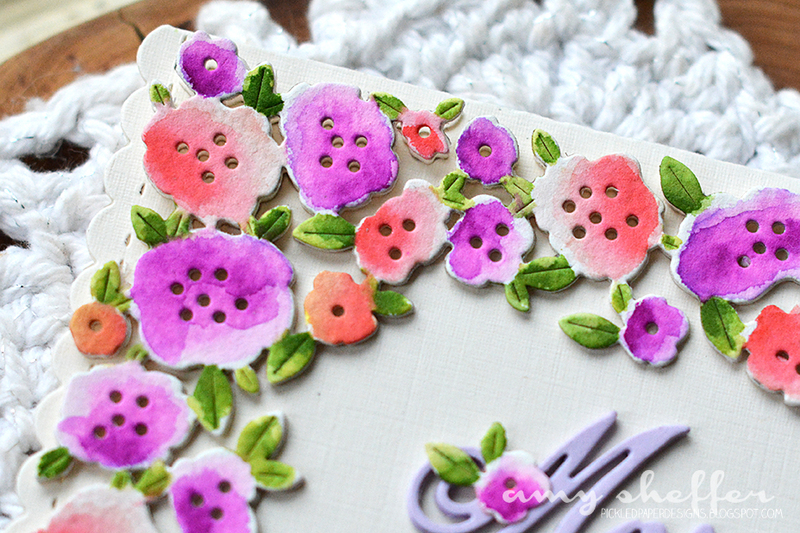 I used Vintage Cream Linen card stock for the card base, which is a nice change from the usual brighter white. Last is another fun rainbow card. 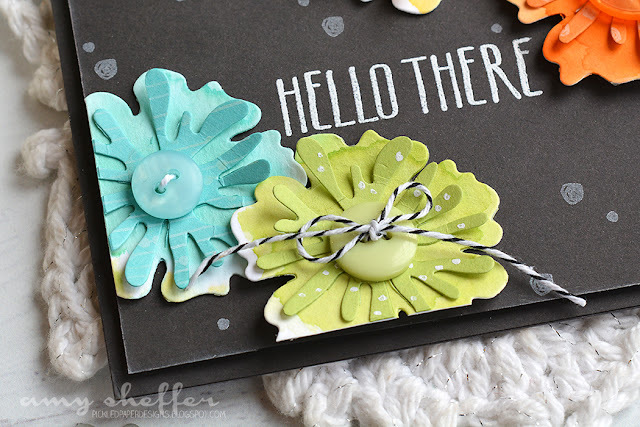 This one combines Maile Belles' Splits: Hello There with Nichole's Grand Botanicals die collection. 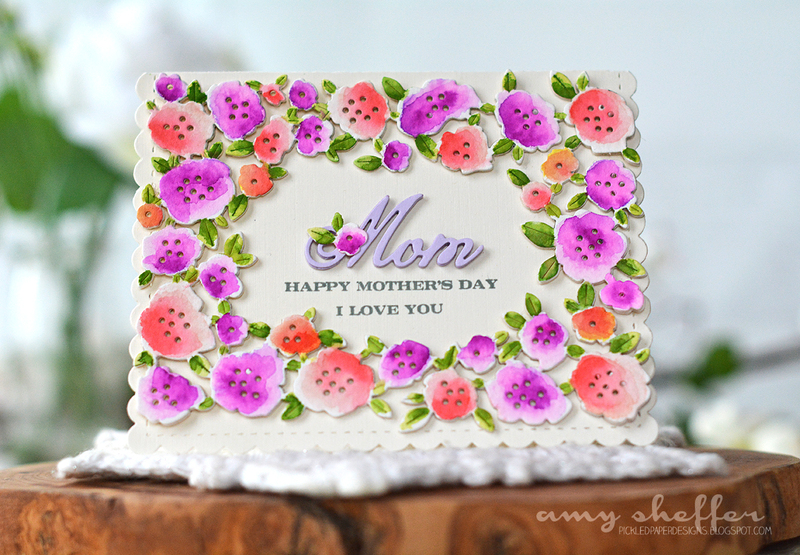 Each of the flowers is in two layers The base is watercolored, and the detailed layer is the card stock of the same color. I stamped some of the Splits: Hello There patterns into some of the flowers, and accented others with a white gel pen. Each flower has been topped with a button in the same color. The big January sale starts tonight, and a selection of buttons will be reduced to just $1 a bag! Sale details are posted HERE. In the background I used two of the accent images in Splits: Hello There to add a little interest to the Smokey Shadow background. Absolutely gorgeous works of art! 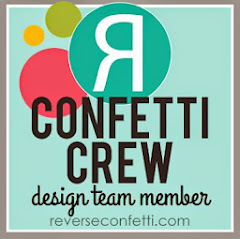 What a wonderful release - each product inspires creativity! Bravo!!! Gorgeous, Amy! Love your work so much. Amy, they are all jaw dropping gorgeous, but that 1st one, WOW! Love it! 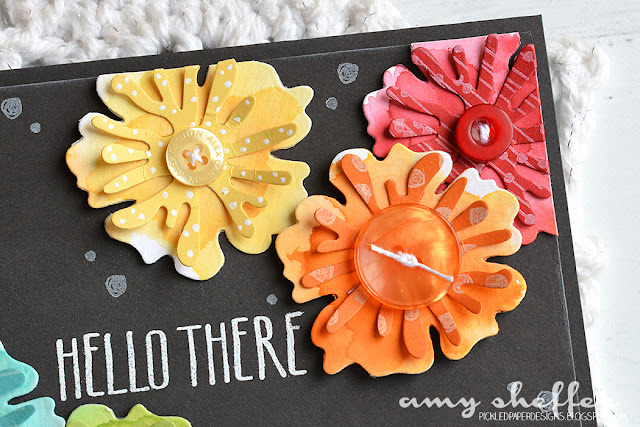 Stunning creations, Amy! The top one needs framing! Those are all gorgeous! I love the colors you used on the top one! 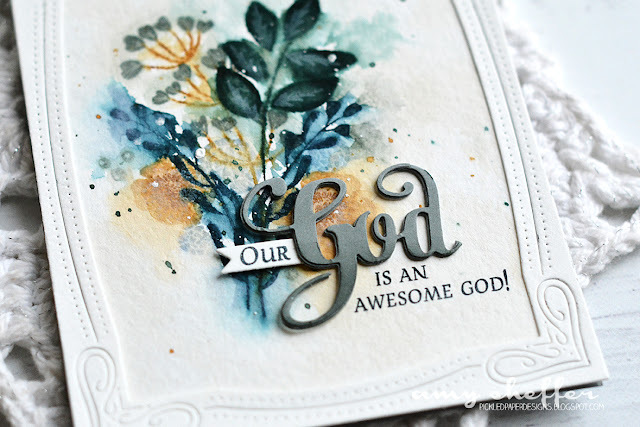 Love your Awesome God card! Amazing! 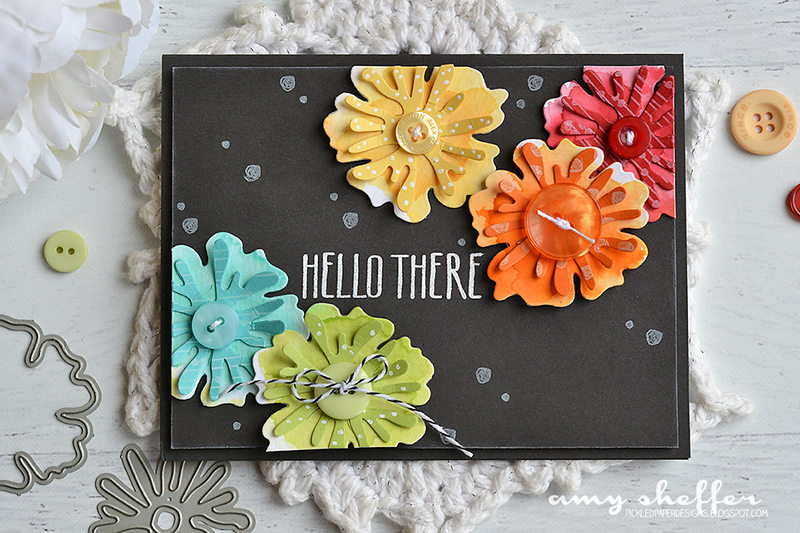 Oh my gosh, Amy, your cards, all of them are stunning. Amazing use of color. Great group of cards! I especially love the first one. The way you moved the ink around is really captivating. Beautiful cards. I love the first one and the fabulous sentiment which is so true. I don't comment in blogs very often, but I just need to say that the first card is GORGEOUS (the other ones are great too)! Oh my, Amy! Your first card has such an artistic flair and is drop-dead gorgeous. 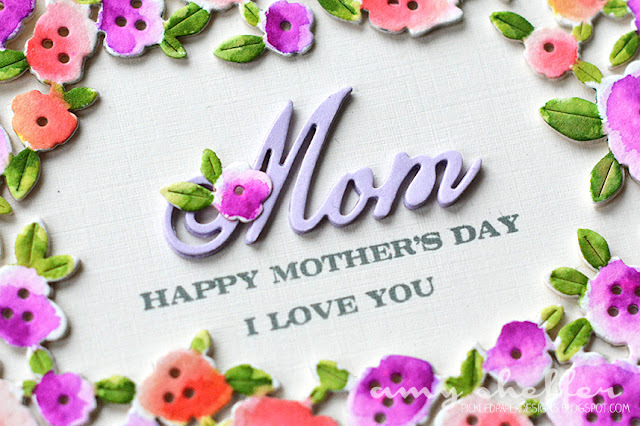 Your colorful Floribunda Frame made for a perfect Mother's Day card. Your last one is so striking with the bold flowers on black. You truly inspire me! The cards are all fabulous, Amy, but the first one is stunning. The colors you used are gorgeous together and I need to remember how well Pinefeather works Dark Indigo and Honey Nut.